Sox sitting atop his fabric stash. I found this Bow Clutch Tutorial on http://www.elmstreetlife.com/ and it is the cutest thing I have ever seen. 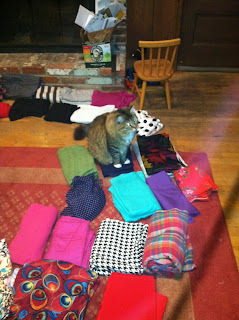 It was wicked easy and a great stash-buster. 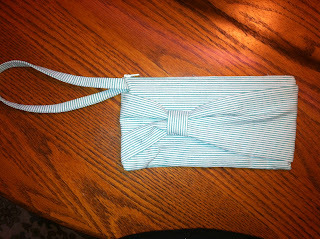 So I made a clutch for my friend Amy's birthday. 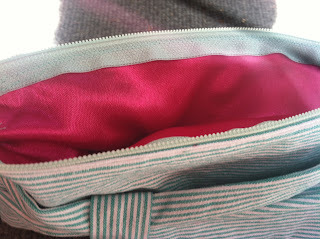 I used the teal striped fabric from my Teal Striped Dress and the hot pink crepe-back satin from my Ruffle High-Waisted Skirt for the lining.